Millions of people are banding together to demand action on climate change. November 7, 2015—The tide has turned on recognizing global warming and climate change. The vast majority of people and governments now recognize that the earth’s environment is changing, and it is largely due to human activity. Globally environmental change is real and action must be, and is now, taking place to slow or stop the process. Some recent and forthcoming events support the change in attitude towards recognizing climate change. In 2014 the People’s Climate March was held. 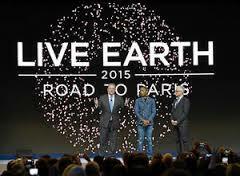 It was organized to persuade the United Nations to call a conference on climate change. There were public demonstrations in New York City and around the world to support action on climate change. It was billed as the largest climate change action in history. The march in New York drew more than 300,000 individuals and filled the 2 ½ mile route. Participants included people from many nations, Capuchin Franciscan monks, and Catholic nuns. An international advocacy group presented a petition containing 2.1 million signatures which demanded action towards climate change. Among the supporters were former vice-president Al Gore, Ban Ki Moon of the United Nations, and Mayor of New York, Bill de Blasio. The Mayor committed New York City to reduce greenhouse gas emissions 80% by 2050. Earth day celebrations have been held around the world to make the case for slowing environmental change and to protect the earth from a major catastrophe. The first Earth Day took place on April 22, 1970. It is often considered to be the beginning of the environmental movement. I had the privilege to be a speaker on that day at the University of Indiana. Earth Day Network now has participants in 192 countries. The United Nations has declared April 22 as International Mother Earth Day. Earth Day 2015 was the 45th anniversary of the movement. Seventy-nine organizations around the world partnered in this event with more than a billion people participating in activities on this day. The overall purpose was to modify changes that are detrimental to the planet and the people on it. Many different educational activities took place. In some countries they planted sustainable trees. In Nigeria solar lanterns were made available in schools. Uganda held an International Children’s Climate Conference. The world comes together on climate change issues. 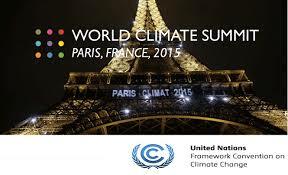 The United Nations Framework Convention on Climate Change will be held in Paris beginning on November 30. COP21, Conference of Parties, will be held in Paris in December. 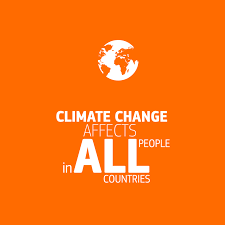 More that 190 nations are expected to take part in this conference, focusing on action towards climate change. It is expected that world leaders will create a strong global agreement to reduce greenhouse gases, with plans for action by individual countries and the group as a whole. An impressive group of people and approximately 60 organizations have partnered to persuade the Paris conference to make real progress. This event will be held on November 13-14 and is to be a day of climate action and music hosted by former Vic-President Al Gore. Millions of people are banding together to demand action on climate change, with eight different sections of the event based on geographic location. The program will focus on each section as the day moves along. In spite of the global recognition that it is time for action, there are now and always will be those that deny climate change.These same people, many of which are in positions of power, propose that we should continue the economic and environmental policies of the past. Those that support this position are rapidly losing credibility. After all, there are still those that believe evolution is not a real process and those that believe the earth is flat! Categories: Climate Change, Extreme weather, Fossil Fuels, Renewable Resources, Sustainable Education | Tags: Ban Ki Moon, Climate change, Co2 and Global Warming, Renewable energy, United Nations | Permalink. I love the idea of turning the page on climate change for the better.